Shadow of the Tomb Raider launched back in September 2018. The first game in the new trilogy to be developed mainly by Eidos-Montréal, with Crystal Dynamics busy on the Avengers project, shipped 4.12 million as of December 31st, 2018. 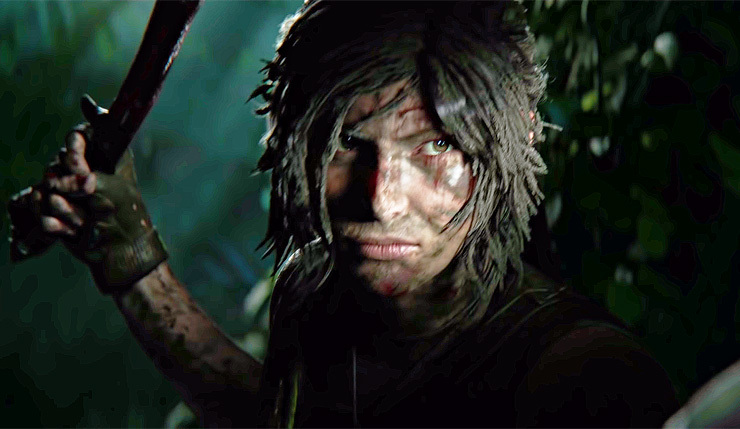 Square Enix boss Yusuke Matsuda called it a weak start, but speaking to USgamer during PAX East 2019, Eidos-Montréal Producer Jonathan Dahan said the developers are very happy with Shadow of the Tomb Raider. He also said he’d be very surprised if there weren’t other franchise entries coming up in the future. We’re super happy with how Shadow of the Tomb Raider turned out, both on the critics side and performance. That’s why we continued producing DLC, because we’re excited about how it went. I’d be extremely surprised if we didn’t see more of it. We’re not able to say anything about what’s happening next, but I’d be very surprised if we didn’t hear more about the franchise. Post-launch, the developers have continued to add to the game with six DLCs: The Forge, The Pillar, The Nightmare, The Price of Survival, The Serpent’s Heart and recently The Grand Caiman. The seventh and final DLC is set to be released on April 23rd. Here’s our full review of the game, in case you missed it back then. Shadow of the Tomb Raider succeeds in giving Lara the character growth she needed and also brings the reboot trilogy to a satisfying closure. It does so mostly by refining the strong gameplay foundation set with the previous installments while delivering a great action/adventure experience in terms of storytelling and audiovisual spectacle. PC gamers also received the highly anticipated ray tracing and NVIDIA DLSS features for GeForce RTX graphics cards. Keith analyzed those in-depth and came to the following conclusion. The wait has been long and the performance penalty is huge. But, this does show the benefits of DLSS and DXR when used together. I’ll let you all pour over the images at the beginning of this one to see how you feel about the visual differences of Ray-Traced Shadows and the implementation of DLSS. But it’s good to see this update finally happen and it’s also good to see the ability to run DLSS without having to be forced into DXR functions at the same time. I guess it is time for that Game+ run I’ve been holding off doing for some time now.